This past weekend I made a quick day trip to Vancouver to attend a very dear friend's baby shower. The day before the shower I realized, as I was wrapping up the knits, that I hadn't blogged about any of the finished baby knits that I had worked on throughout the summer. Oops! Fortunately I like to use gift bags and tissue paper so it was no big deal to whip the knits back out and snap a few quick shots before it got too dark out. I also have to give myself kudos for remembering to take a photo of another sweet wee knit before it was gifted at the end of summer. I'm only going to show the knits that I know for sure the recipients have seen (I don't think they read this blog anyway, so either way I think I'm safe), and because there's a few that have yet to be gifted because of buttons. Yes...the lack of finding the perfect buttons (and sewing them on!) gets me every.single.time. So without further ado, let the wee baby knits parade commence! I've been dying to knit the adorable Sproutlette dress ever since the day the pattern was released, but for a while there I had either no little girl to knit it for or the time to knit it for fun. But this time around I had no excuses as pretty much all of my pregnant friends decided to find out the gender of their baby ahead of time and all but two were having girls. It was go time. The original plan was to knit this dress in a semi-tonal blue (I had the perfect yarn in the stash in mind) to lessen any overly girly-girly vibes this dress might have (there was quite a discussion about this amongst my friends), but as I was going through my stash to retrieve said blue skein I came upon an already wound cake of Dream In Color Smooshy in what I think is a pretty but not an overly girly colour (but one that both my camera and phone hates and refuses to capture correctly). My laziness got the better of me and I decided to just use the Smooshy instead since it was already wound and roaring to go. Besides, I'll most likely knit this pattern again, it's just too darn cute not to! I'll straight up admit that I didn't swatch, I mean, it's a baby knit...and I know how my gauge is, so what's the point? I had knit the smallest size but halfway through the dress I realized that I should have gone the next size up as I still had a fair bit of yarn in my bowl. I made one unintentional mod (it was federal election time and I had cast on while watching the Canadian Leaders Debate) due to not paying attention and that was being two stitches short before the increases for the dress portion. It was an easy fix that didn't require ripping back and I don't think it affected the overall look of the dress. I'm super pleased with how this dress turned out. I think it's so incredibly darling that I wish I had enough time to knit every wee little girl I know their own Sproutlette. For now this pattern will go back into the queue until after the holidays when I plan on continuing with the baby knits. And next time I'll for sure remember to knit the bigger size! Milo has quickly become one of my go-to baby patterns to whip up whenever I hear a baby announcement. I honestly cannot recommend this pattern enough. The pattern includes ten sizes (from newborn to 6 years) so you've got all ages covered, it's seamless, and the customization possibilities are seriously endless! If you don't believe me, check out this, this, this fun one, and this stunner. For this Milo I decided to do exactly what I did last time and that's stick with the pattern as is for the 6 month size and opted for a column of cute owl cables. And like previous Milos, I used Knit Picks City Tweed DK since I have about eight balls of it in the stash. I think both the colour and cable are neutral enough that no one will have a problem with it. Or, at least that's what I hope anyways! See? I enjoyed the tweedy Milo so much that I had to cast on another. This time, to shake things up (and I'm not going to lie, to keep me interested) I went with a different yarn and a completely different take on the body altogether. I pulled out my favourite stitch dictionaries and this diamond eyelet pattern caught my eye. Luck was definitely on my side because I didn't need to do any increases or decreases in order to get the stitch pattern completely around. I had followed the measurements for the 9 month size and kept with the garter stitch hem to prevent any unwanted curling or flipping. I'm chuffed to bits with how this vest turned out and think it's the best Milo I've made to date. I genuinely can't wait to cast on another and to try a different stitch pattern. I can see this becoming an obsession, and with the amount of baby announcements being made, it probably won't be a bad obsession. At least I'll be prepared for the next baby shower! 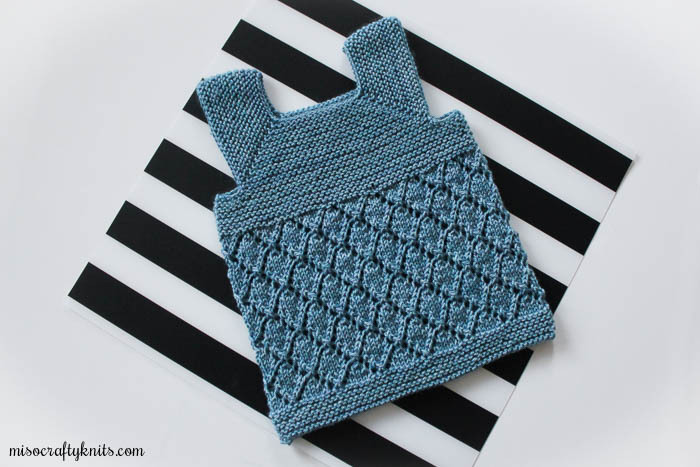 When all the baby announcements were being made back in June, one of the first patterns to pop into my head was Prairie Fire by Tin Can Knits. I loved the look of the lace, the transition of stockinette to lace details on both the front and back, and the fact that the pattern is seamless in the round. 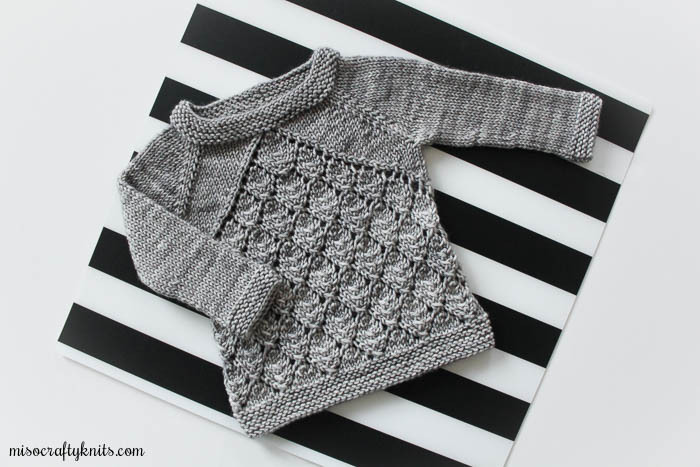 A gorgeous knit with minimal finishing efforts? Count me in! I had one skein of Tosh DK in the Smokestack colourway leftover from my BlueSand Cardigan and at first I was just going to give it away to whoever wanted it at my knit night, cause really, what was I going to do with it? Yes, I could knit myself a hat, gloves, or a cowl. But in my mind I was kind of done with this colour. You know? Then I saw that Prairie Fire required a dk weight yarn and the fact that when I envisioned knitting this pattern I saw myself knitting it in grey...well, put two and two together and I've got a perfect marriage of pattern and yarn. Since I only had the one skein I settled on staying on the safe side and knitting the smallest size, which meant that I was able to knit half of the pullover in one day. I wish I had remembered to take a photo of the back because I thought how the lace ended in the small of the back was such a beautiful and clever detail. I didn't do any mods cause really, there was no need for any. Like all the other Tin Can Knits patterns that I've knit, this pattern was super easy to read and follow. The sweater was very well received by the mother-to-be and I thoroughly enjoyed knitting this little beauty. Most likely I will be knitting this pattern again (I may already have some yarn picked out for it...) and so I give this pattern two very enthusiastic thumbs up (and thanks Travis Birkenstock for the quote!). ooh, the lucky little babies that will get to wear your awesome baby knits! Each one is drop dead gorgeous. Thanks Julie! ♥ All of these were definitely awesome to knit and have become favourites!! Such perfect little knits! Oh how I long to have a little girl to knit for... Thanks for mentioning the back detailing on Prairie Fire! It's a pattern that I've seen a hundred times and that I always thought was beautiful but I had never seen/noticed the back detail, and it really makes it for me. Thanks Tanis! :) Before knitting Prairie Fire I really had no idea about the back detail. I think had I seen it sooner I would have knit it sooner!! Oh, I have a skein of Smooshy in Bubble Haze! And a coworker with a brand new baby girl! How have I not seen this dress before? 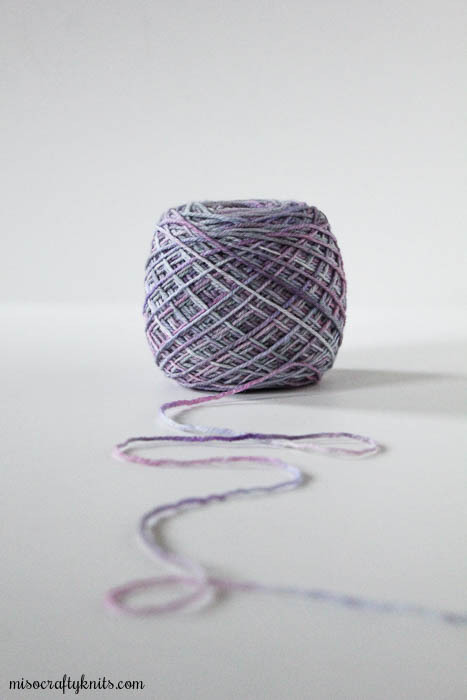 Did you get it out of one skein? Hi Alice! I had knit up the smallest size (0-6mos) with 1 skein and had a little over 40g leftover. I wish I had knit the next size up as I think I would have had enough yarn. OMGosh, you are awesome! Each of these baby knits are fantastic. They are the perfect presents and unique as you handknit them. I love, love that Bubble Haze colourway. I haven't used Dream in Color for quite some time but they are certainly a great yarn company. Gonna go and check out the Rav patterns. And to add...I love Tin Can Knits. After knitting two of the Flax pattern, that is the style of pattern I love to read and follow. They totally did it right. Thanks Stefanie! :) I LOVE the Flax pattern! I have knit 2 baby sized ones and know that I'll definitely be knitting this pattern a few more times in the very near future. Such a great go-to pattern and the entire collection is just awesome in general. I have so much love for Tin Can Knits! Thanks Jennifer!! Along with the Flax sweaters (which I'll blog about soon), Milo is definitely a go-to baby pattern for me. 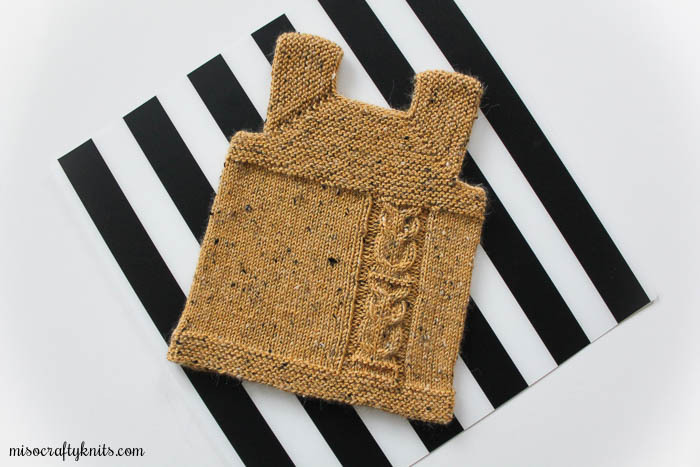 Oddly enough, it hasn't become a boring knit yet! I'm so glad you took all these pictures and shared! I've got some great ideas for wee knits for a couple of expecting moms now :) LOVE the Prairie Fire and those cute little owls.